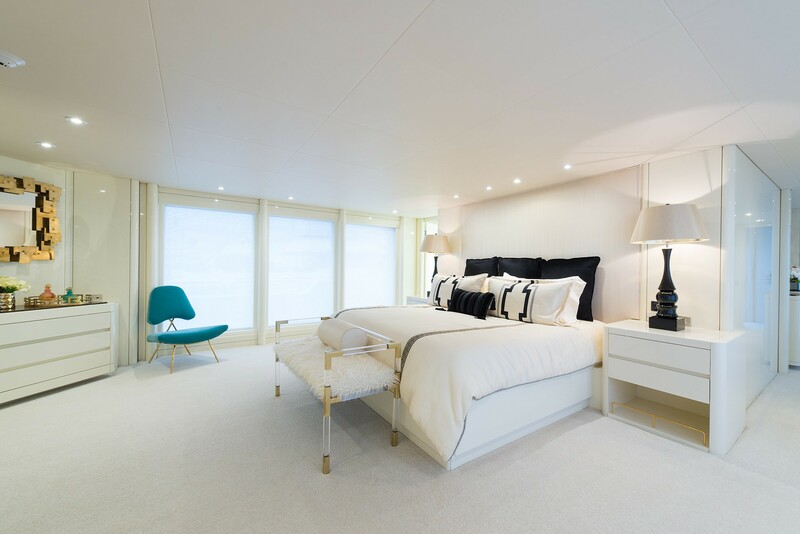 Luxury motor yacht SHE'S A 10 (ex MYSTIQUE) is an Oceanfast built Aluminium yacht measuring 50m (165ft) in length with interior Design by Steve Mallory and naval Architecture by the great Jon Bannenberg. 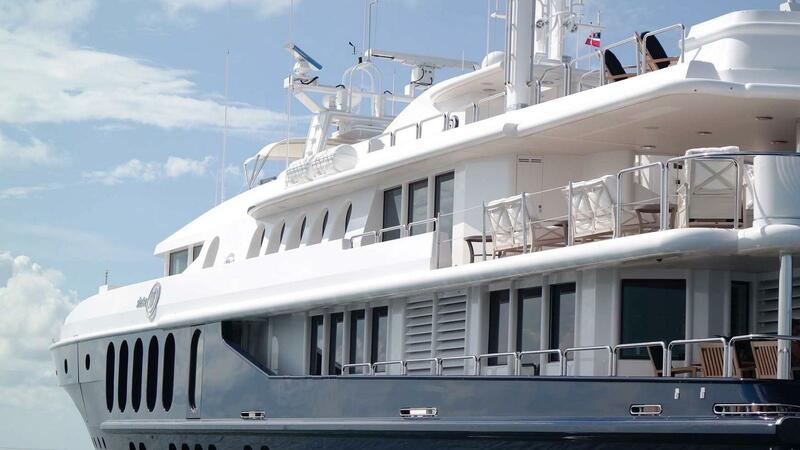 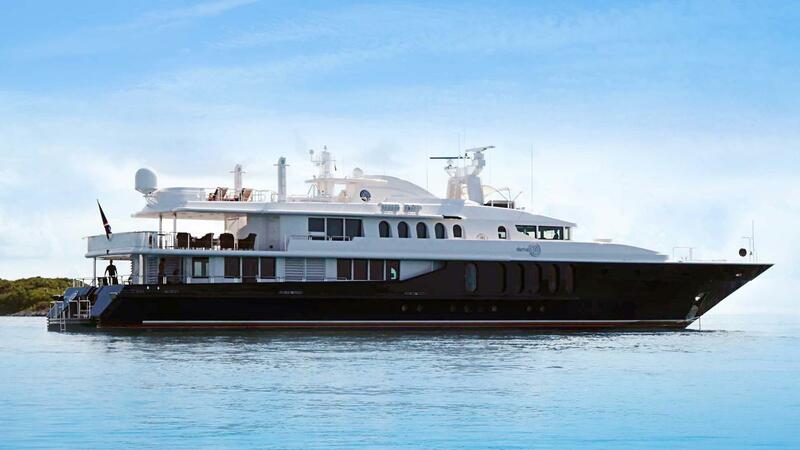 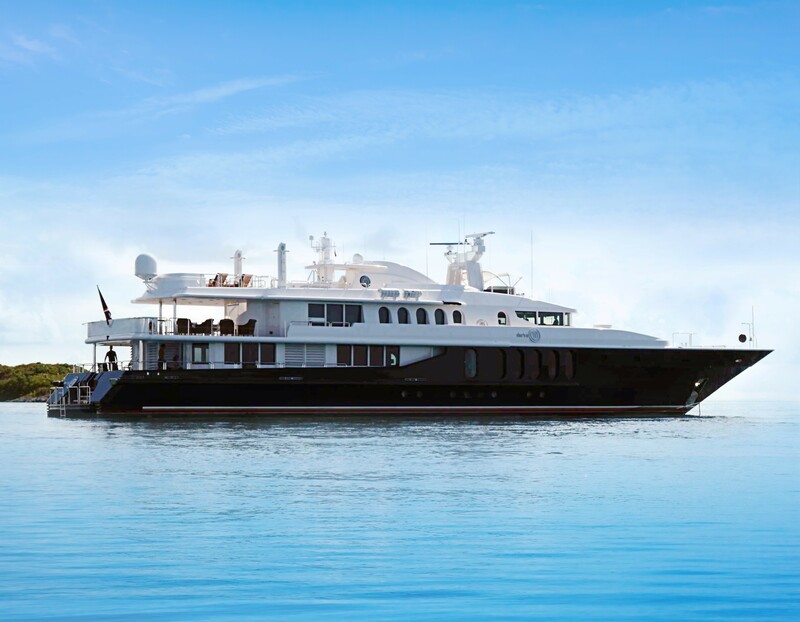 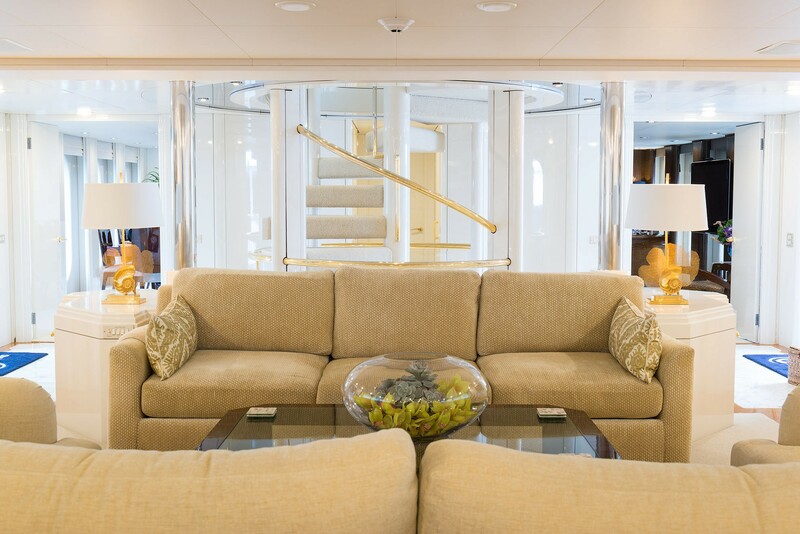 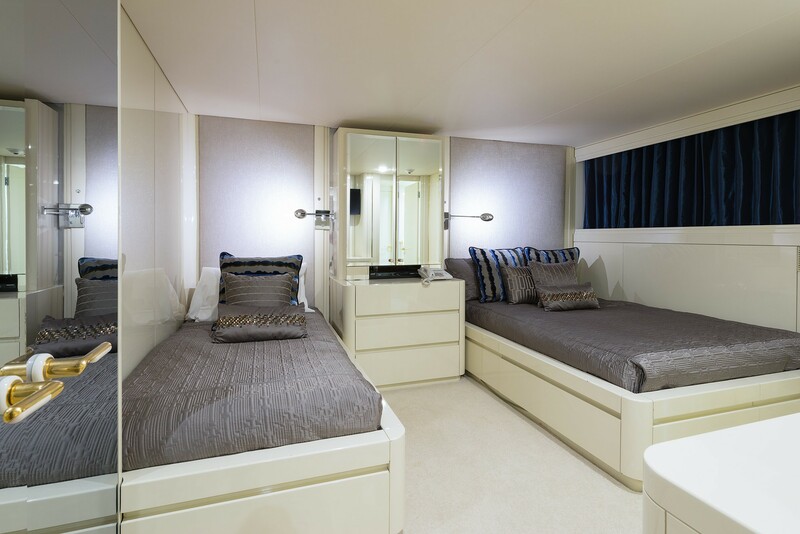 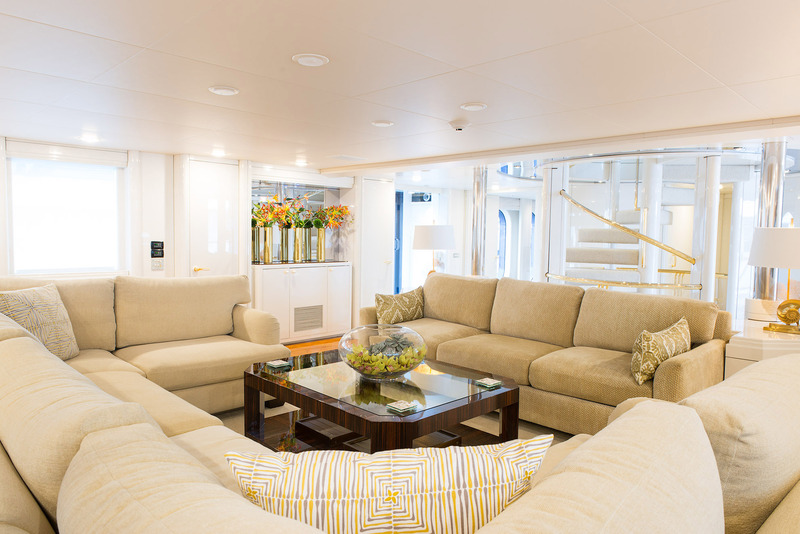 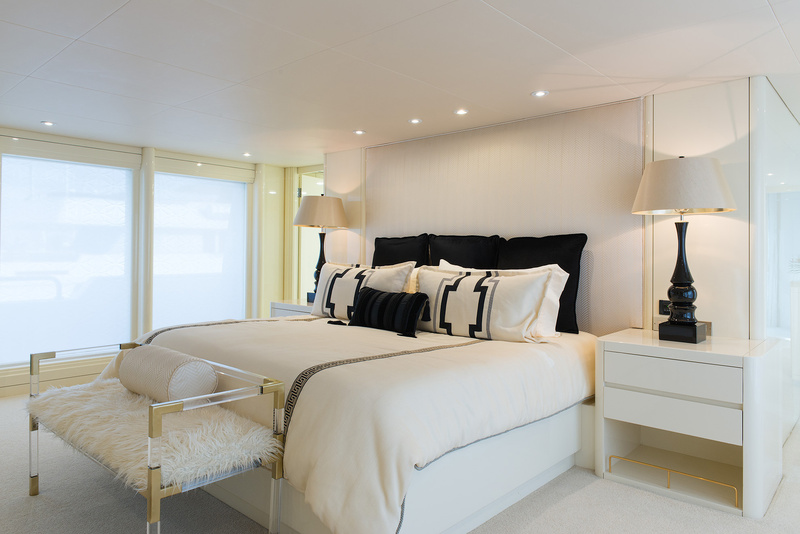 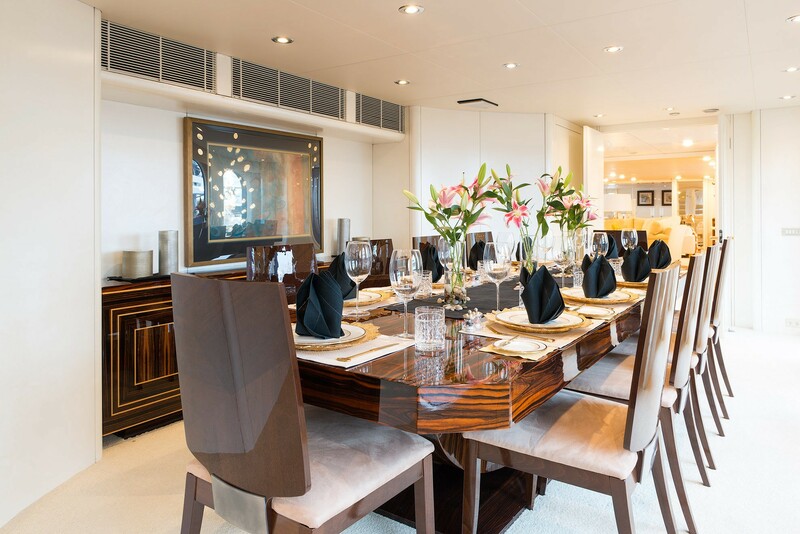 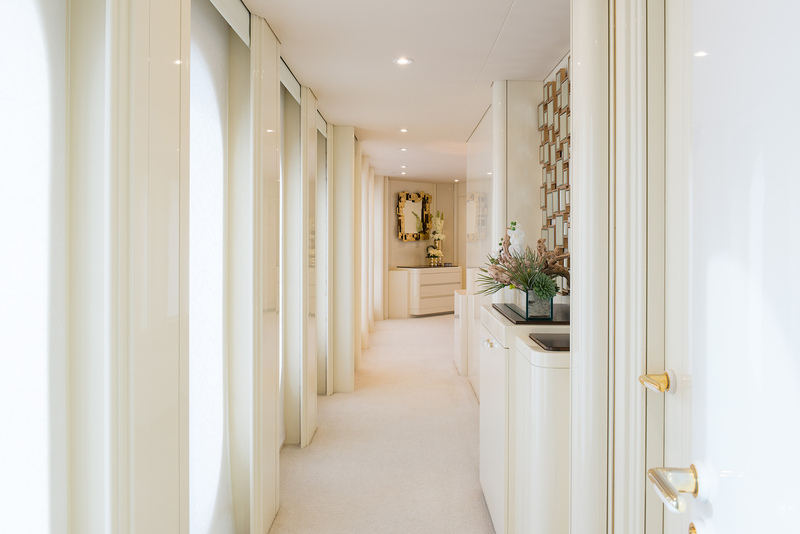 With the last refit in 2013, SHE'S A 10 yacht can accommodate 12 guests in luxury and style. 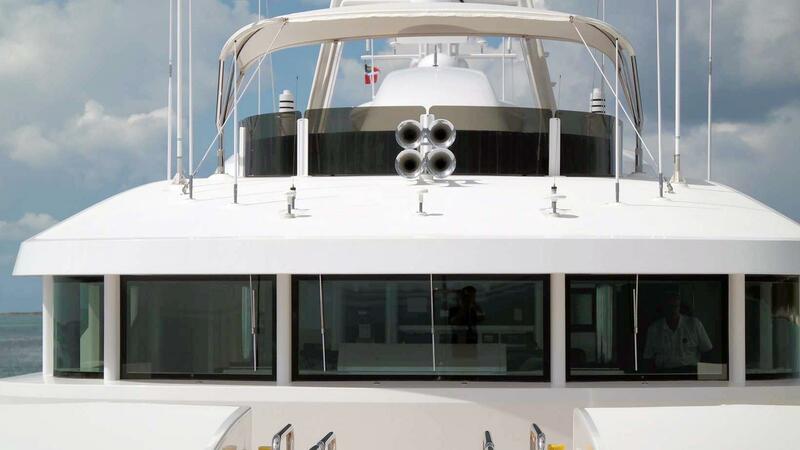 Unusually, for a motor yacht of this large size, she has a top speed of well over 20 knots. 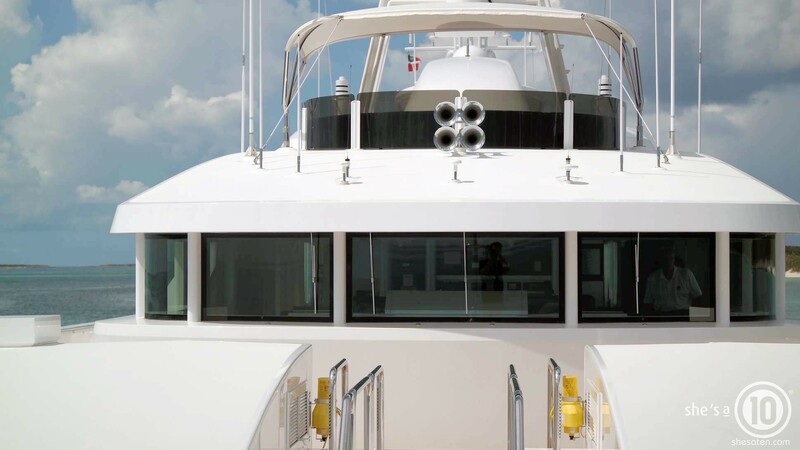 This means you will be able to move quickly between each destination. 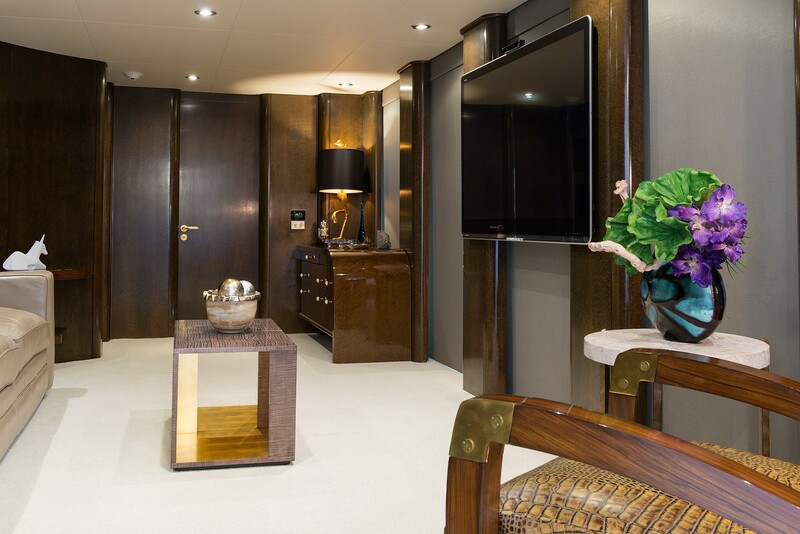 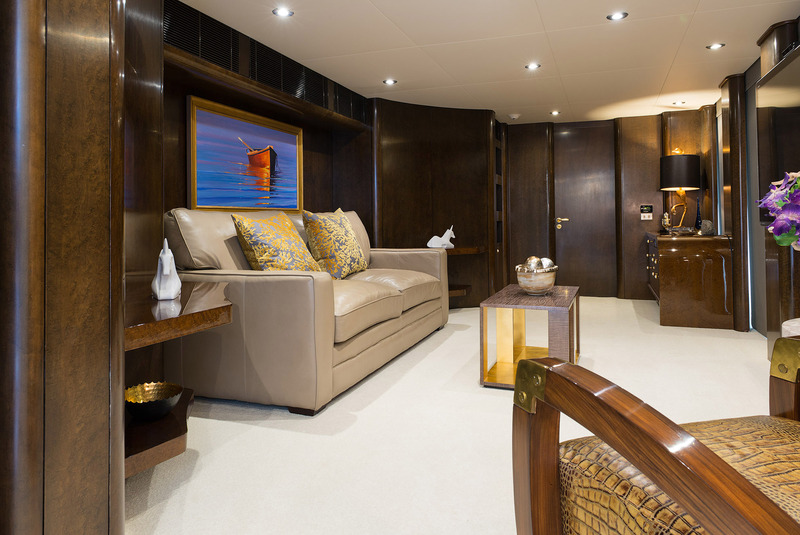 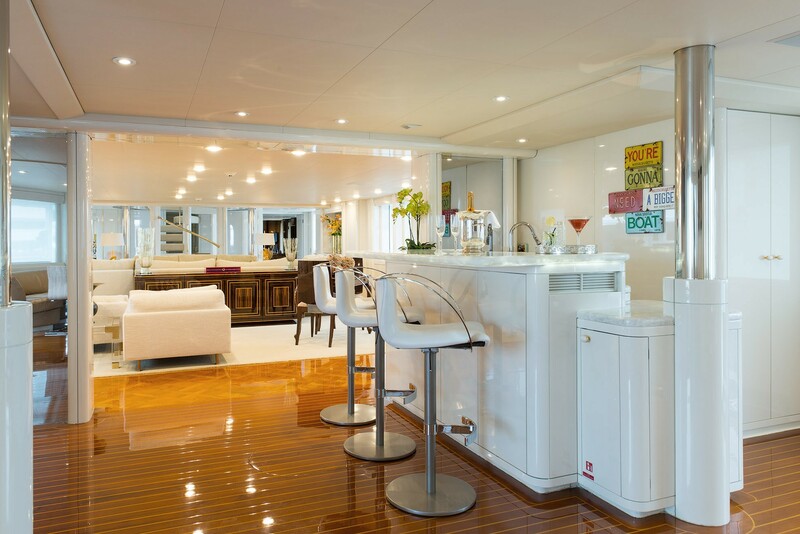 The main salon of superyacht SHE'S A 10 boasts several lounge areas including comfortable couches and a games table. 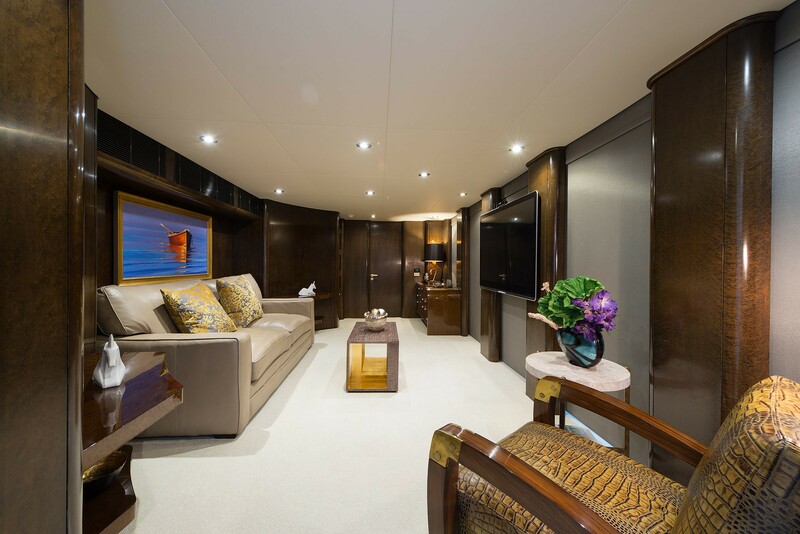 There is also an enclosed aft portion of the main salon which features a 60" TV, a full bar and U shaped seating on the Port & Starboard side. 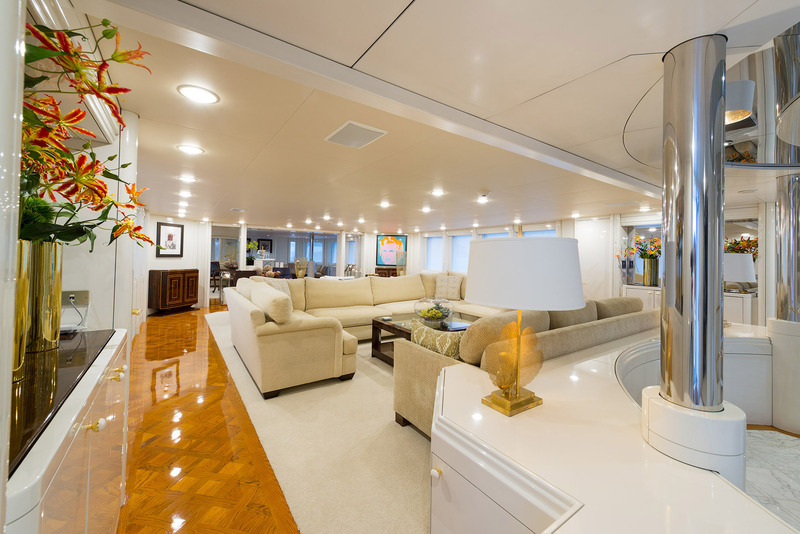 Further forward on this level, there are two-day heads and the foyer. 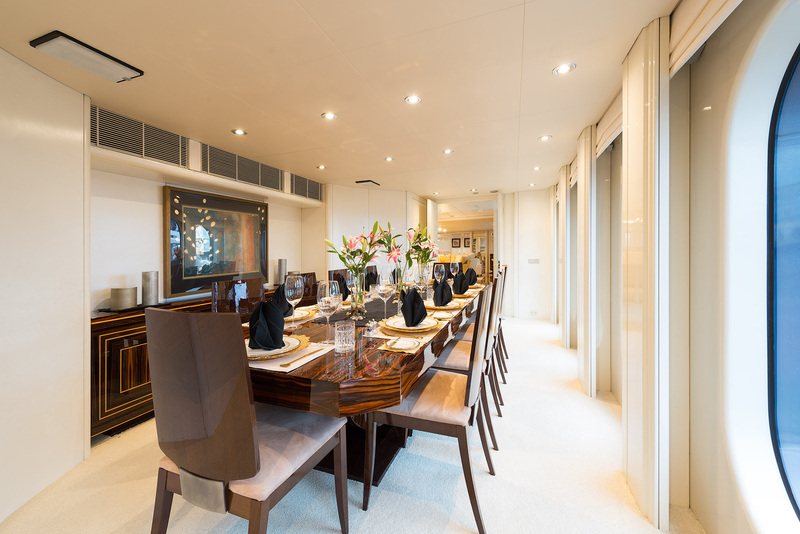 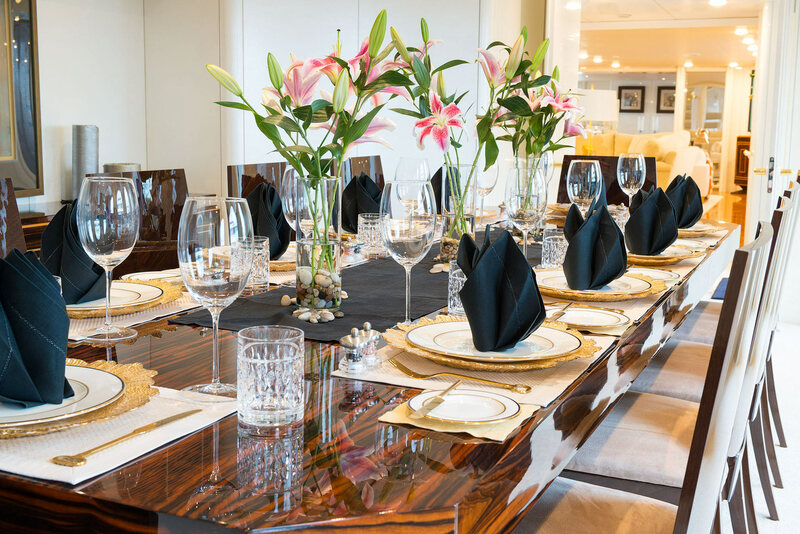 The formal dining salon is forward and adjacent to Main Salon with seating for ten guests. 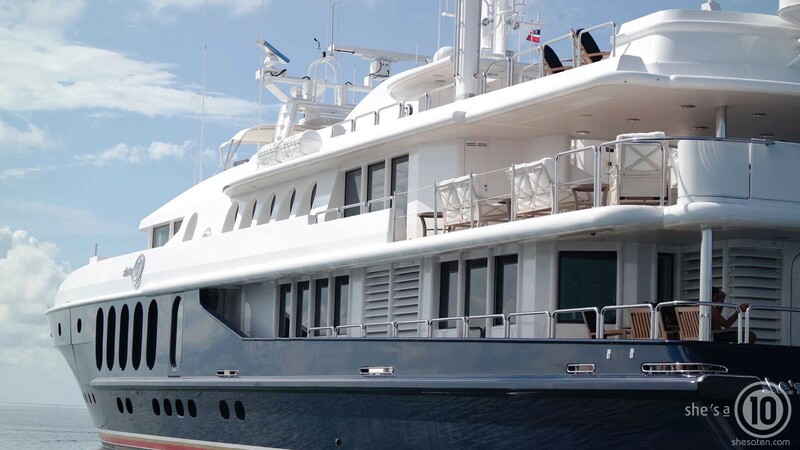 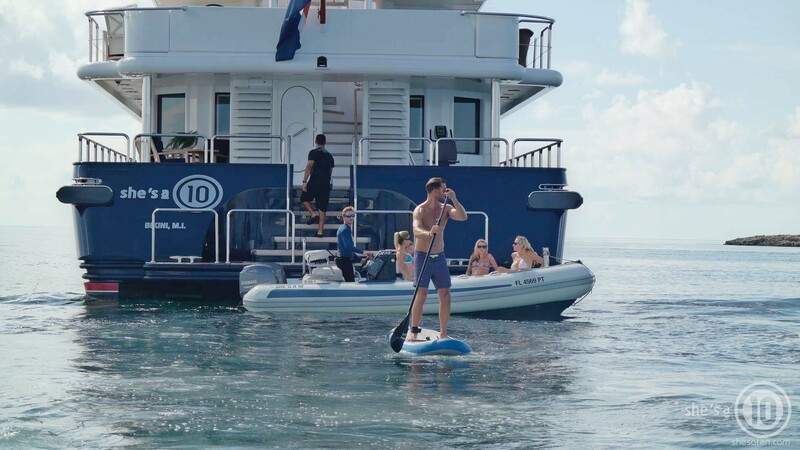 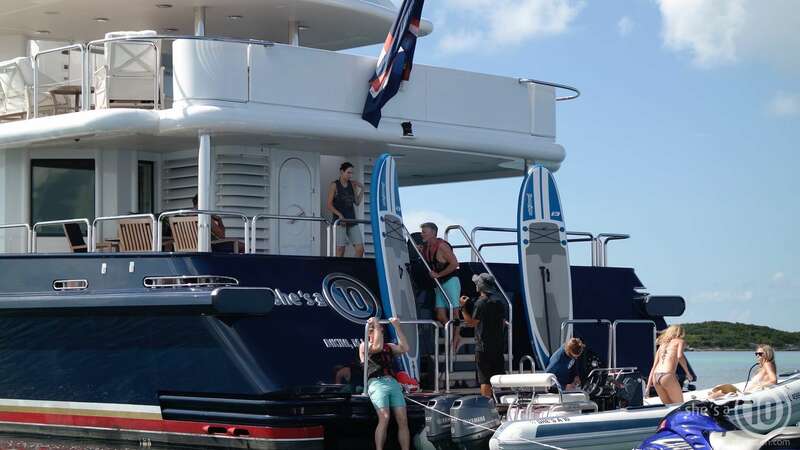 Luxury yacht SHE'S A 10 can accommodate up to 12 guests in 5 cabins including a Bridge deck master with a King sized and his and her bathroom, his with shower, hers with Spa Pool tub, Shower & Bidet. 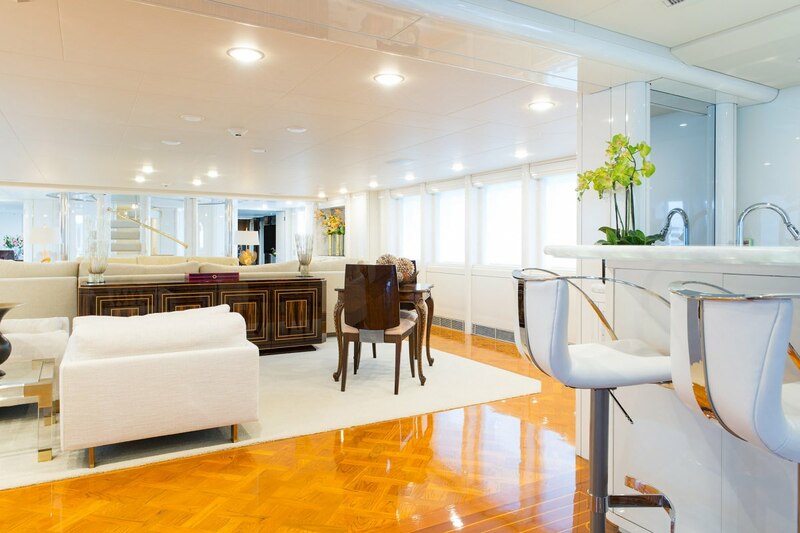 From the master cabin, there is access to the Bridge deck aft. 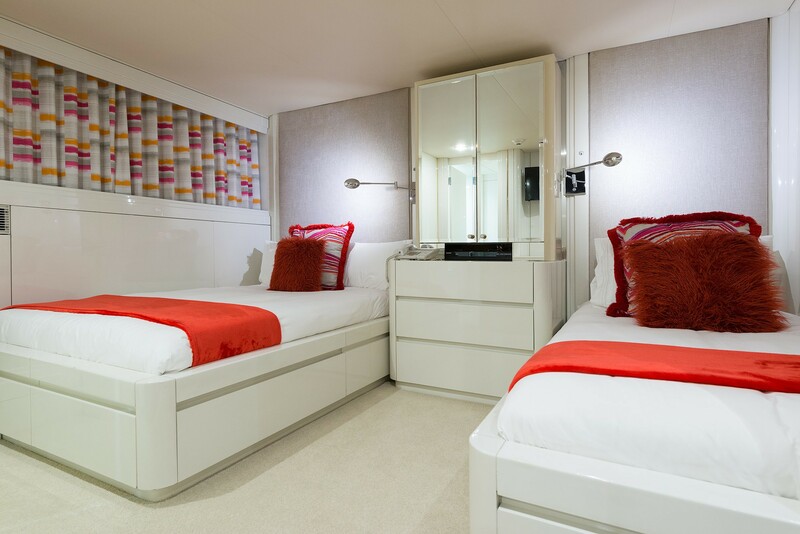 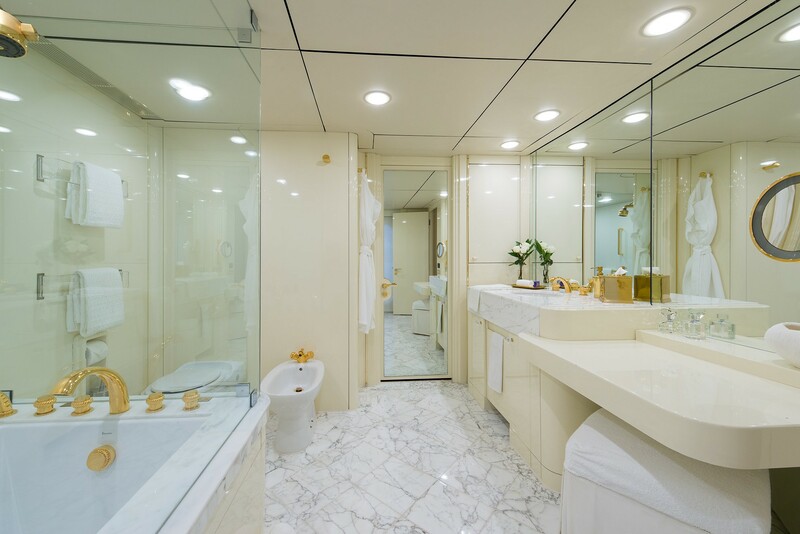 The remaining cabins are located below deck amidships and include 2 Queen Cabins and 2 King cabins with Spa Pool Tub and Shower. 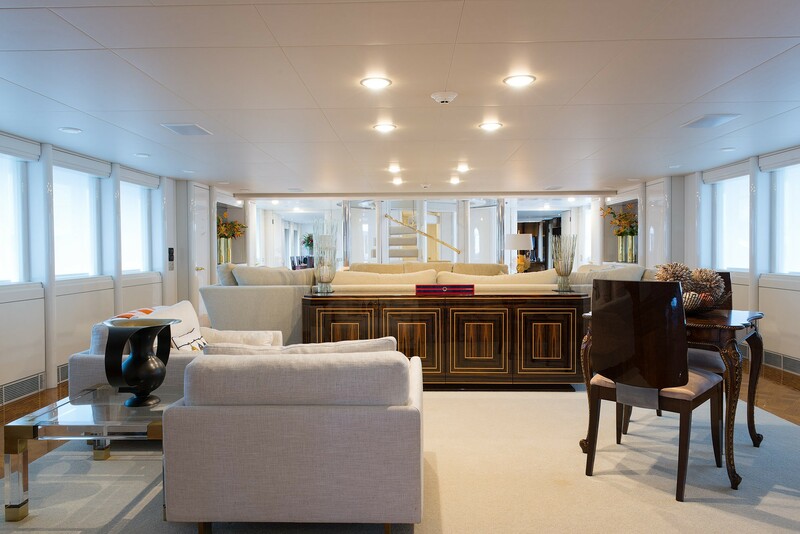 Along with the master cabin, the bridge deck also houses an owners study or theatre, a large audio/visual room with 60" flatscreen TV. 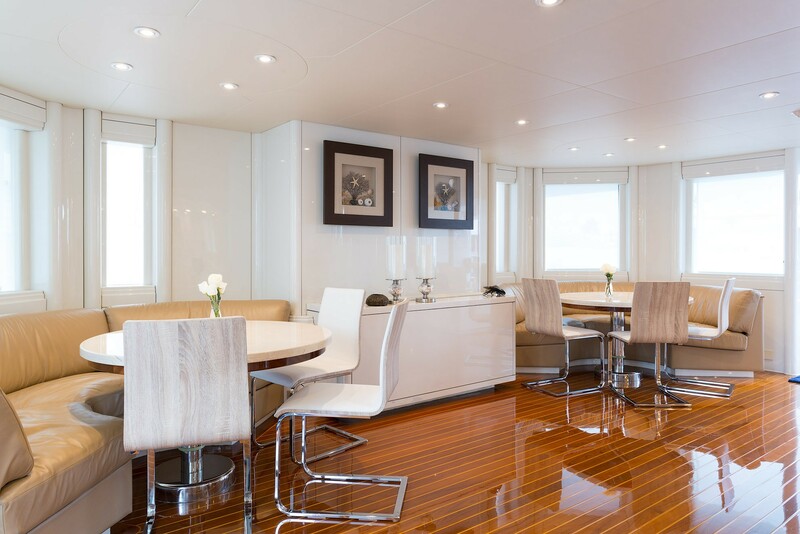 There is U-Shaped seating for 12 guests, a desk, and computer. 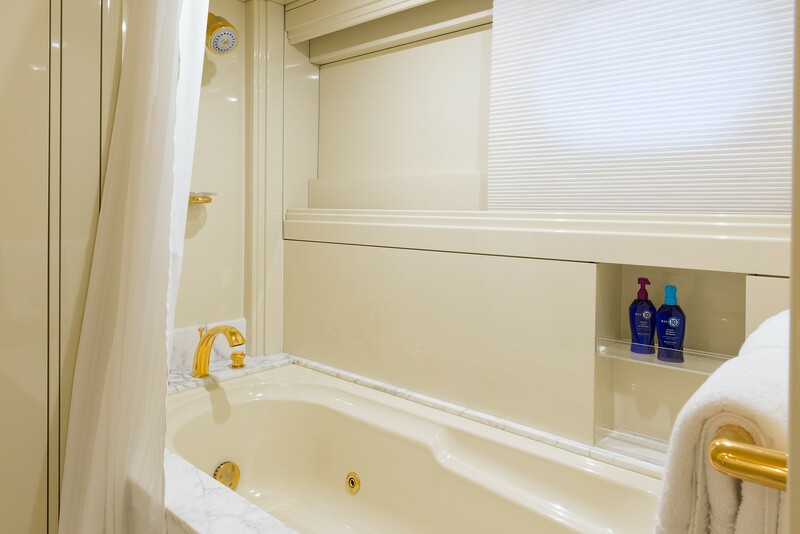 There is also a day head with shower forward. 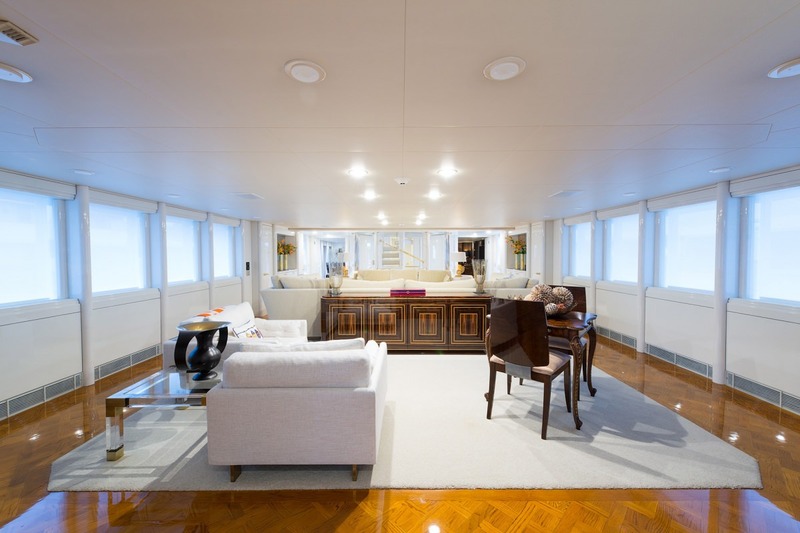 On the upper boat deck of the SHE'S A 10 yacht there is room for tender storage as well as an al fresco dining table for ten guests. 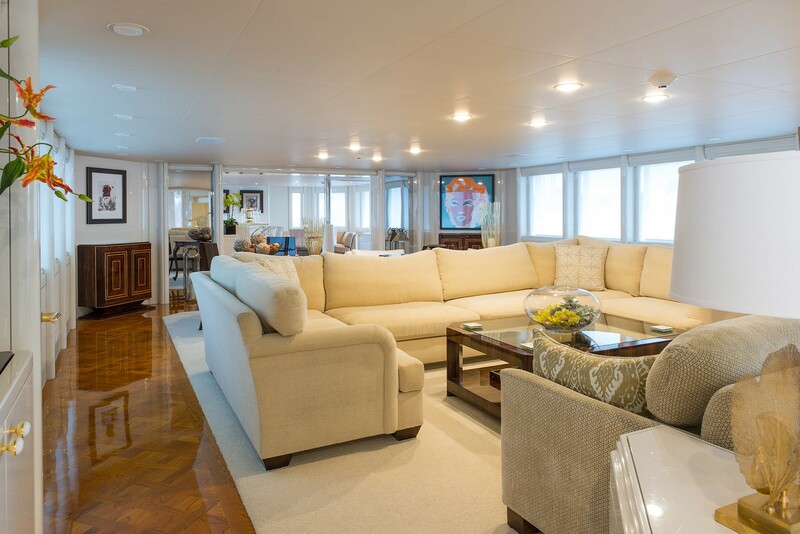 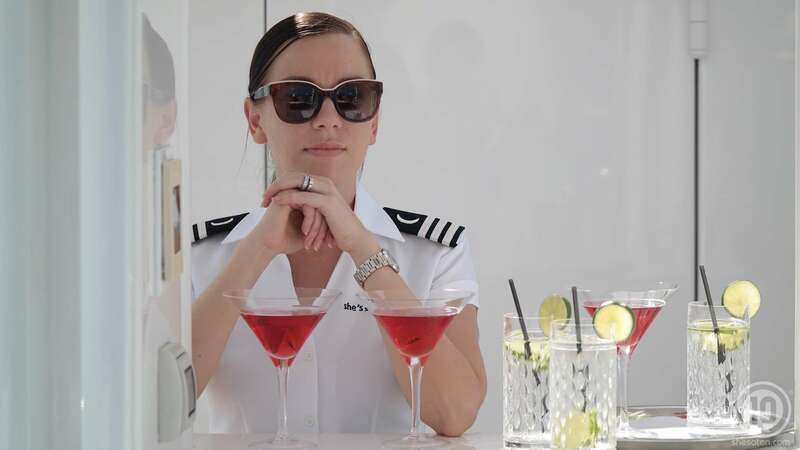 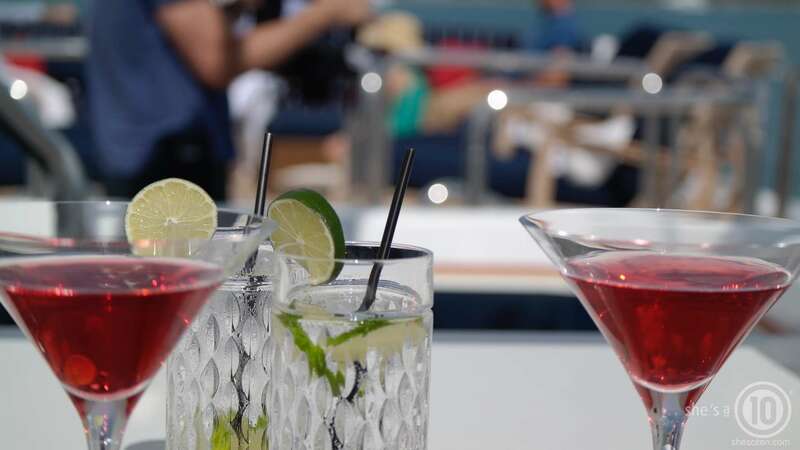 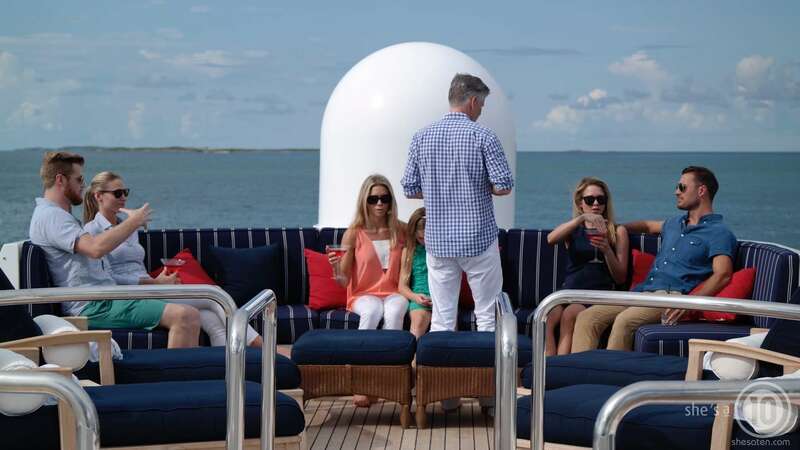 There is seating to the port and starboard side of the aft deck and access to the Sun Deck. 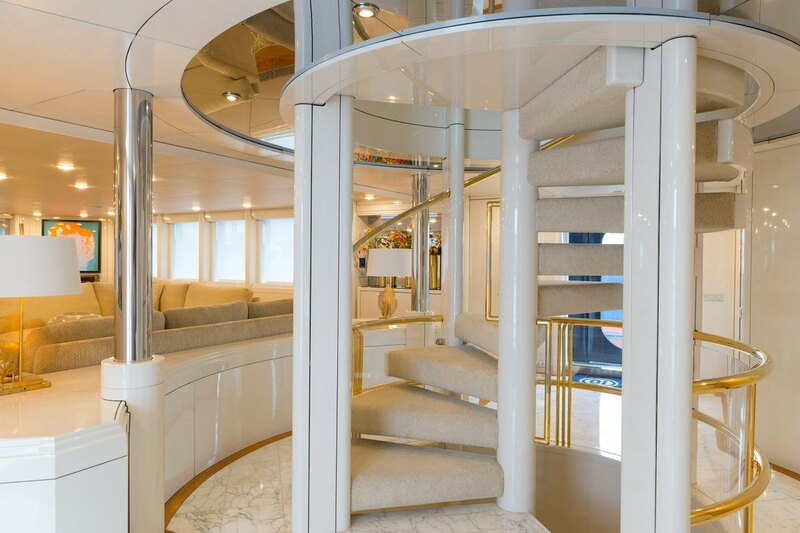 The sun deck of superyacht SHE'S A 10 (ex MYSTIQUE) boasts a Spa Pool, four lounge chairs aft, a U-shaped seating area forward with enclosed eisenglass. 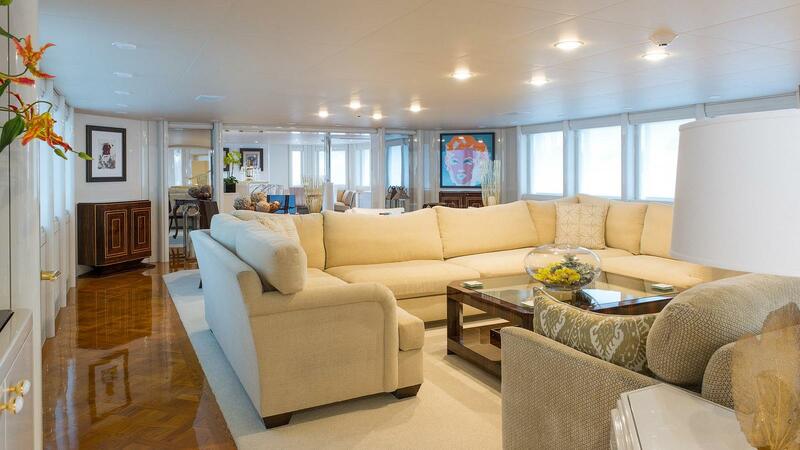 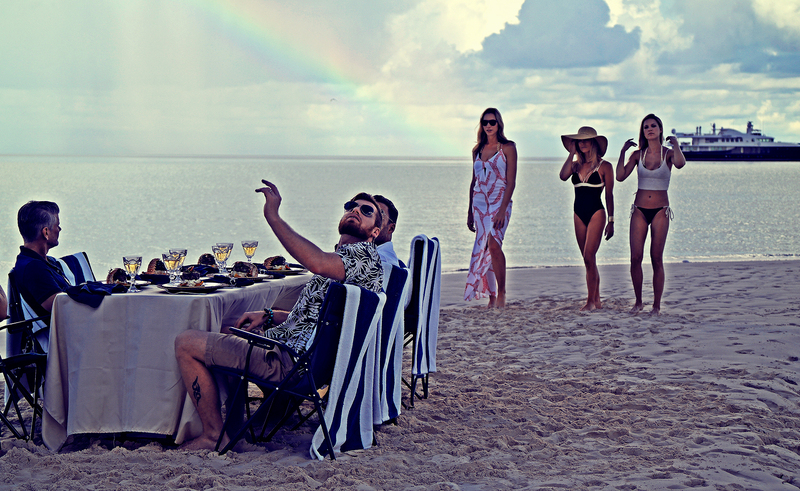 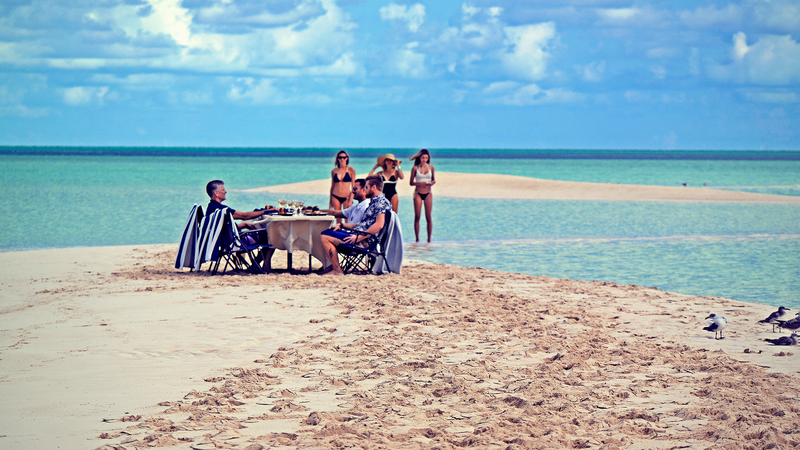 There are four occasional chairs, optional sun shades, a Refrigerator & icemaker as well as a day head with Shower. 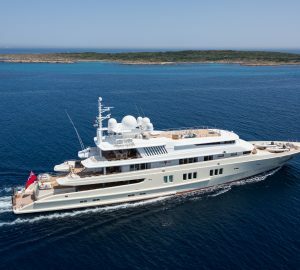 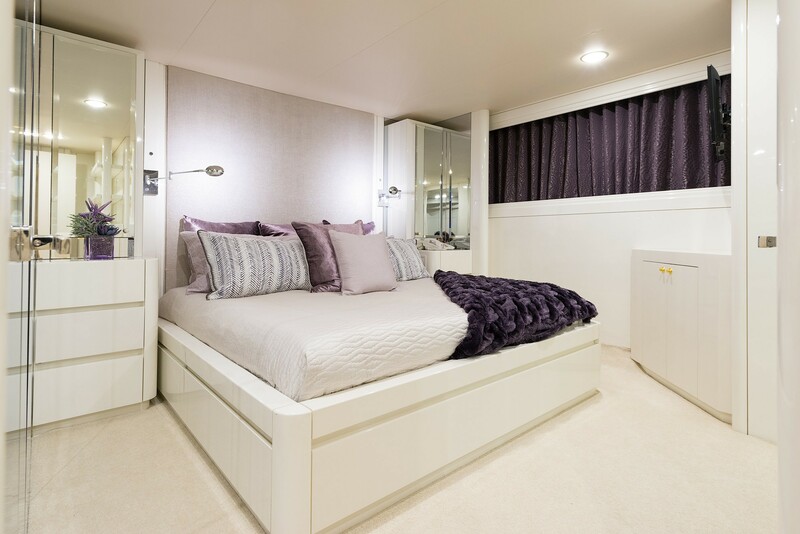 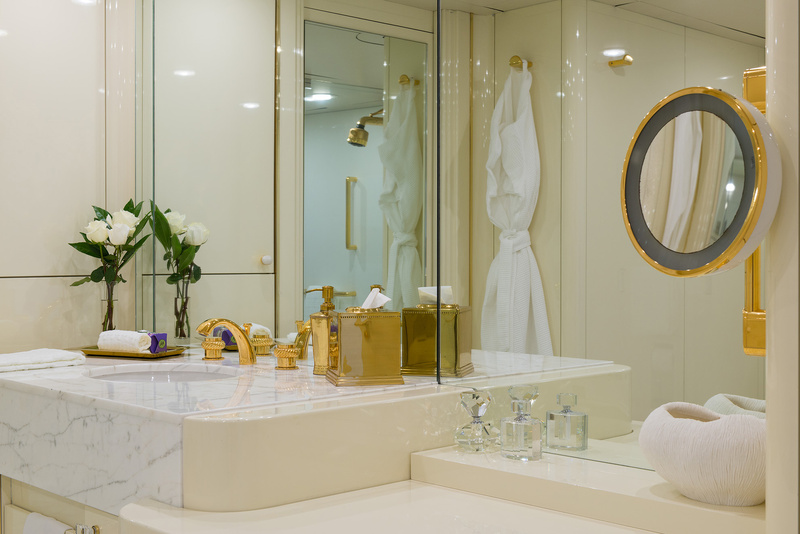 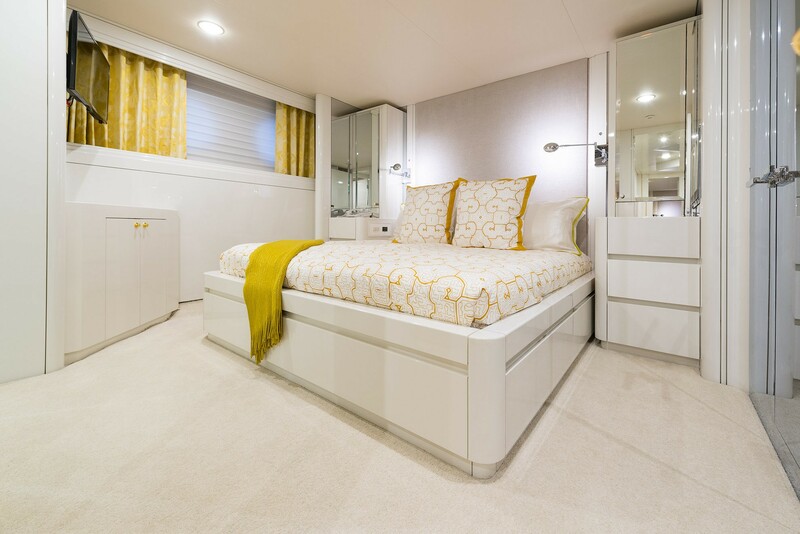 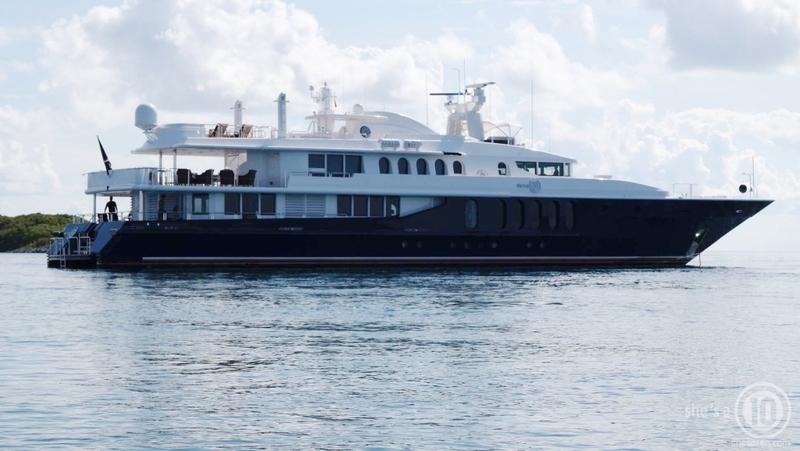 M/Y SHE'S A 10 is able to accommodate up to 12 guests in 5 cabins including a Bridge deck master with a King sized and his and hers bathroom, his with shower, hers with Spa Pool tub, Shower & Bidet. 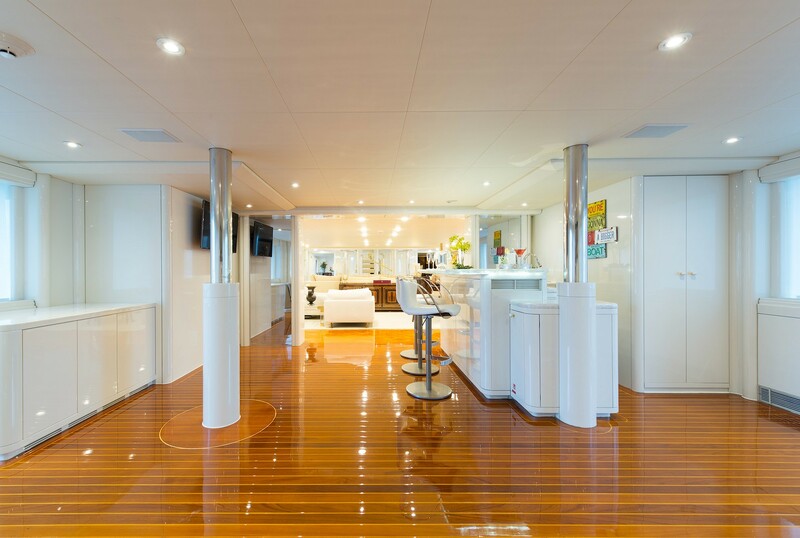 From the master cabin there is access to the Bridge deck aft. 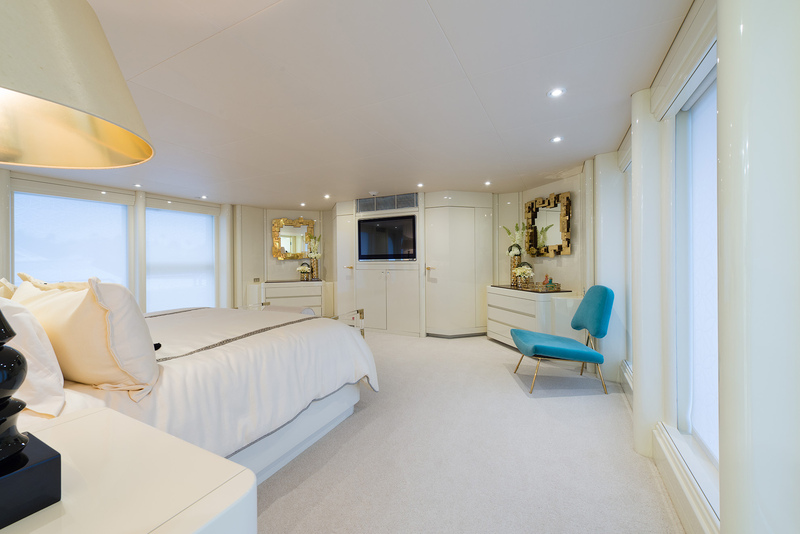 The remaining cabins are located below deck amidships and include 2 Queen Cabins and 2 King cabins with Spa Pool Tub and Shower. 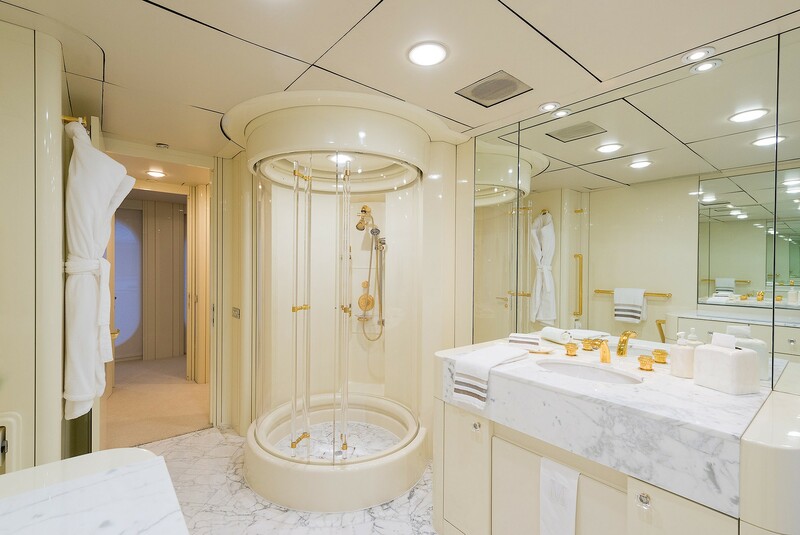 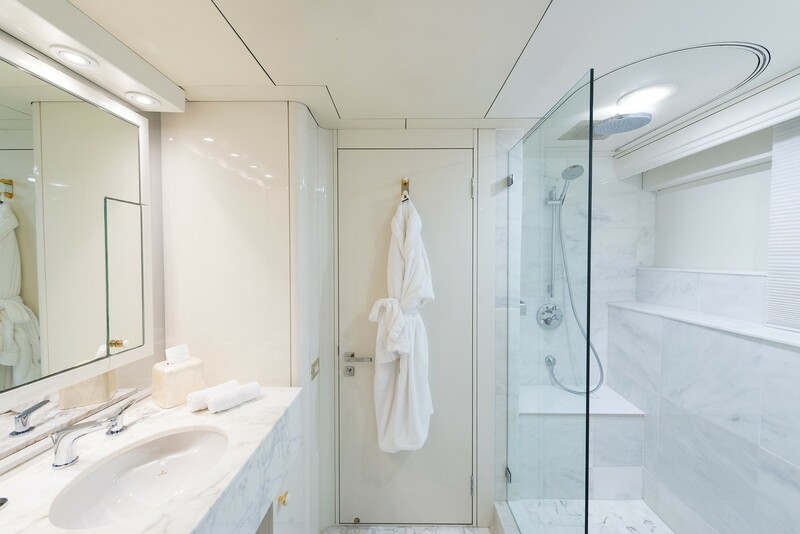 Each stateroom has an ensuite. 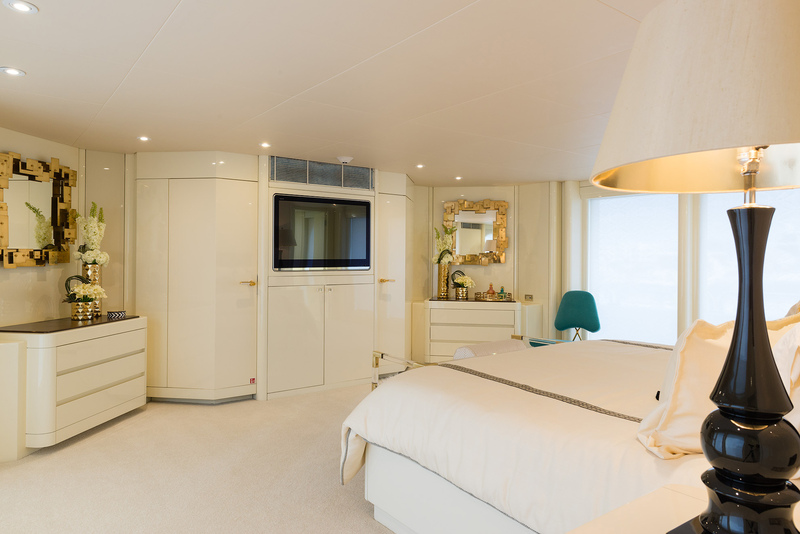 Each stateroom has flat screen SAT-TV. 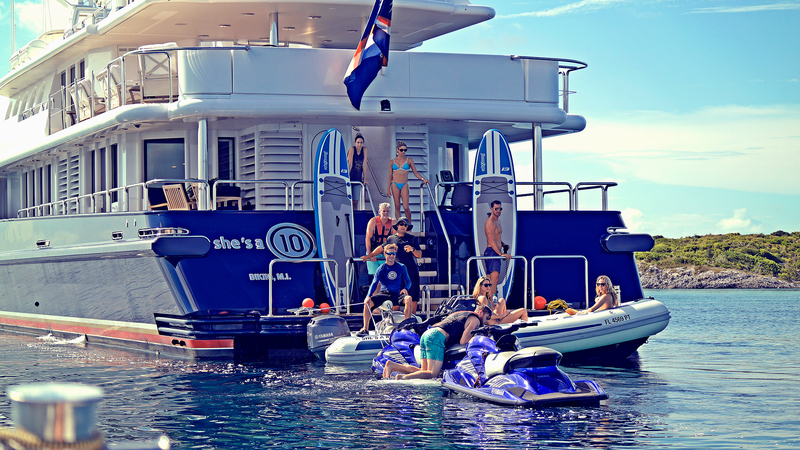 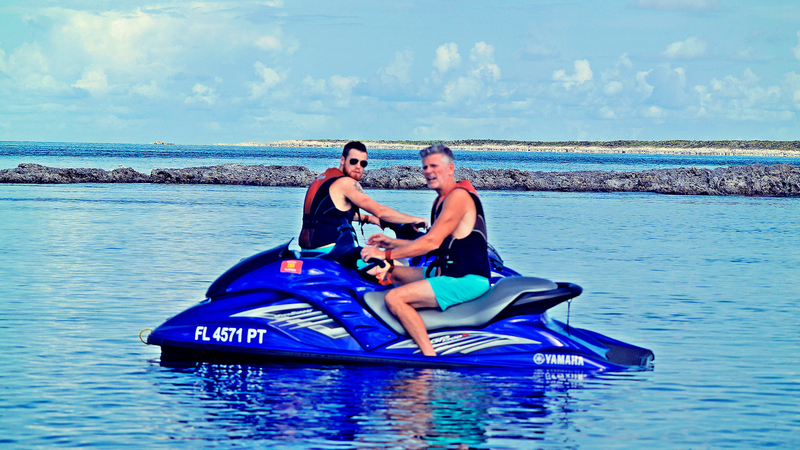 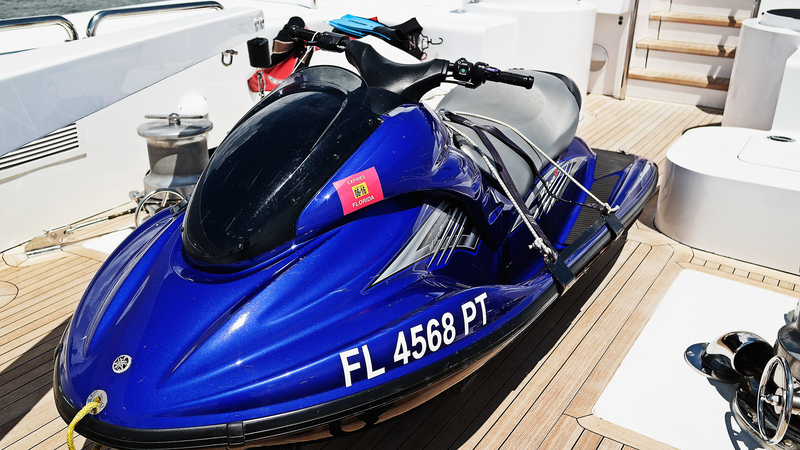 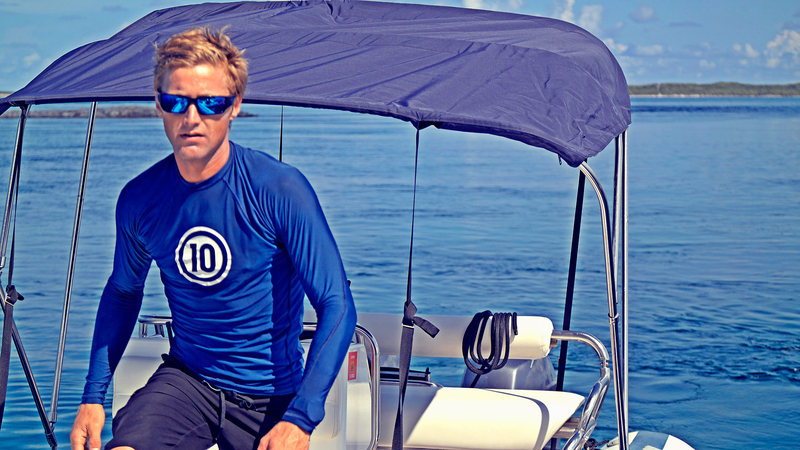 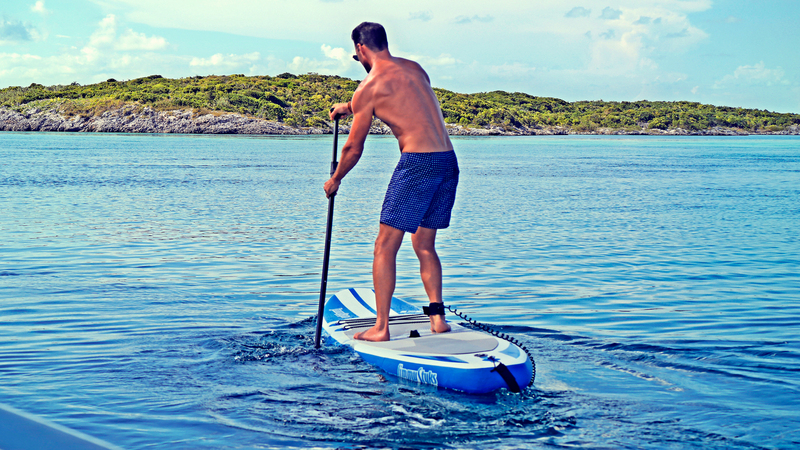 SHE'S A 10 superyacht has a large range of tenders and toys, 2 x Yamaha GP 1300 waverunners 2 x 19 ft Nouvarania tenders with twin 60 hp Yamaha outboard engines with Bimini tops 2 x Jimmy Styks Paddleboards 1 x inflatable banana boat 1 x inflatable towing couch 15 x sets of snorkeling gear 1 x wakeboard 1 x waterskis , quality communications including internet capability. 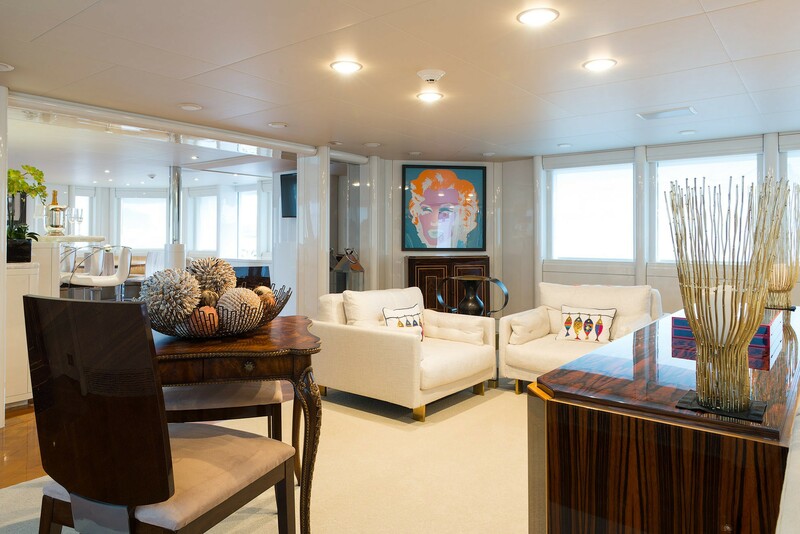 She also has Audio Visual Entertainment facilities throughout.